I have fallen in love with quinoa lately! This ancient grain is so tasteful and versatile. On top of that it is packed with nutrients and is rich in protein. Today I present you a salad inspired by Mexico! It is tasteful, filling and you can have it as a light meal too. I forgot to add avocado. It would have matched perfectly. 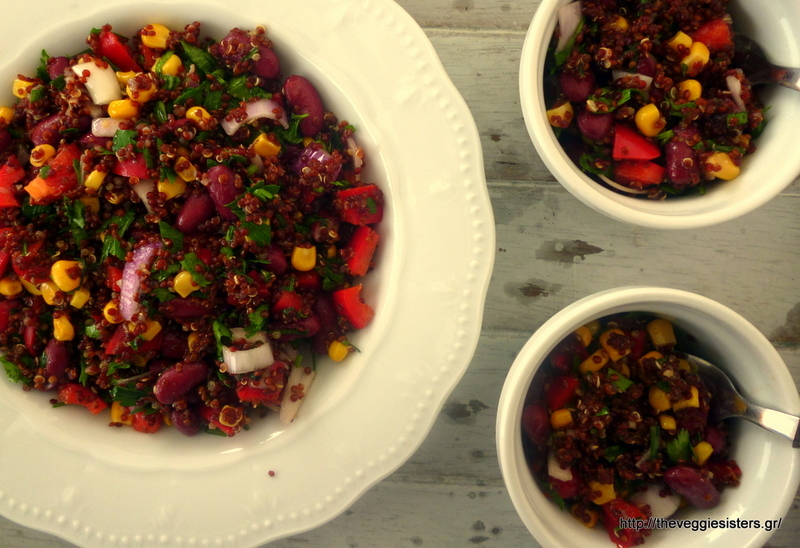 This salad is perfect even if you eat it after 2-3 days! Rinse quinoa thoroughly. Strain well and set aside. Heat 1 Tbsp olive oil and toast quinoa for 1 minute. Pour broth and when it comes to a boil, lower heat and let simmer with the lid on. 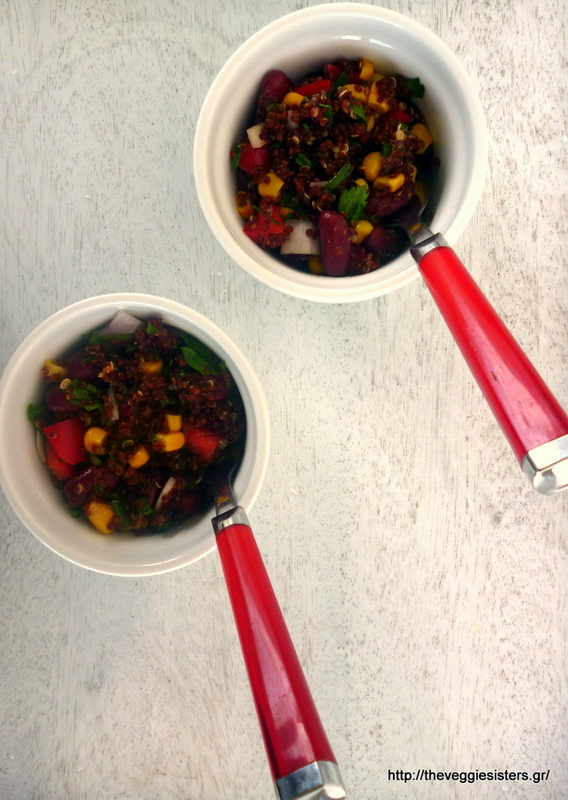 When liquid is absorbed, remove from heat and after 5 minutes fluff quinoa with a fork. In a bowl mix veggies with quinoa and pour over olive oil, lemon juice. Season with salt and pepper. Enjoy! 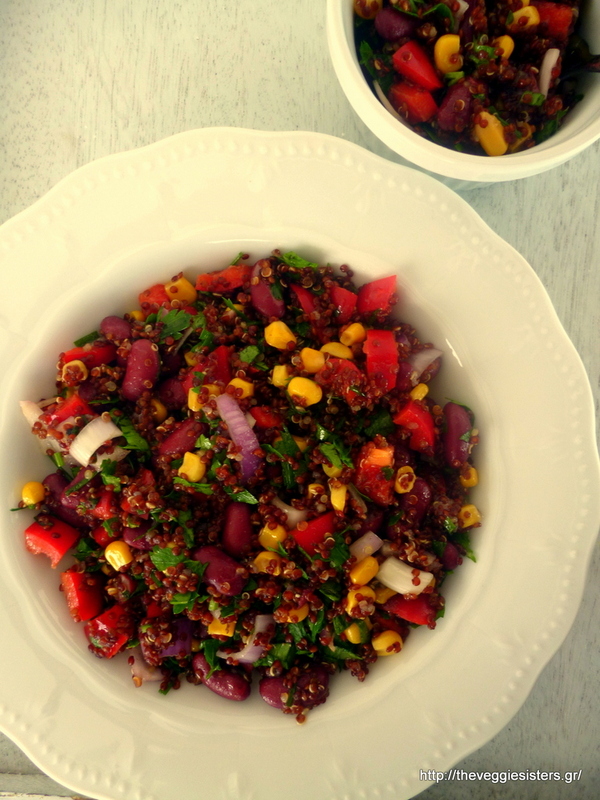 Share the post "Quinoa mexican salad"